. 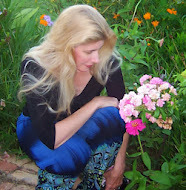 . . in Eureka Springs. One of three steam engines to survive the building of the Panama canal. A charming main street and friendly people. And lovely texture work ! Travel is so much fun, isn't it? Great photos. Your photos are exquisite, June! Lovely texture work, too. So - there really is a money tree? I definitely need some of those seeds. I enjoyed your photographic tour. I have to agree with Sylvia's comment above. Great finds and lovely texture work! 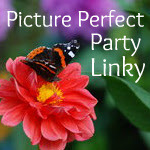 Thanks for joining my Picture Perfect Party Linky! Looks like such a fun place to visit -- especially in Autumn. Lovely shots! Wonderful. I especially like the money plant photo. Such rich texture and colors.